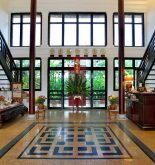 Tan Phuong Hotel (2-star) is located at a convenient position in Hoi An so this place itself is a great hotel in order to go on exploring this exciting city. From here, it is very easy for tourists to approach the vibrant beauty of city in all of corners. In addition, everyone in hotel is able to also stroll around to see the top of attractions in city as Phac Hat pagoda, Tran Gia cathedral and Cam Pho temple. At Tan Phuong hotel, the combination of perfect services and up-to-date equipment will create an unforgettable vacation for any tourists. The top of features in hotel include room service, laundry service/ dry cleaning, restaurant, wifi in public areas and concierge. Let you experience high quality equipment including air conditioning, television, wireless internet access (free) and desk. All of these things will help you recover health after a long day. 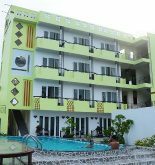 Besides, hotel also suggests you entertainment activities for ensuring you always see in the excitement during your holiday. Let you enjoy as soon as the unparalleled services at this truly reliable address – Tan Phuong Hotel. Address: 209 Ly Thuong Kiet St, Hoi An, Quang Nam, Vietnam. This information has been supplied by Tan Phuong Hotel.